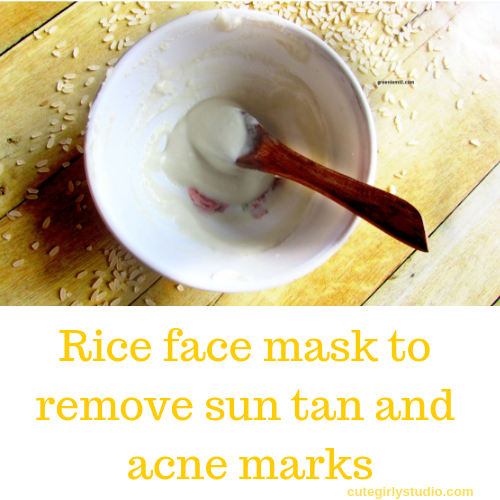 Summer can cause suntan, uneven skin, acne and many other skin problems, so to reverse the damage caused by the sun, here is an all natural face mask to get rid of suntan and acne at home. 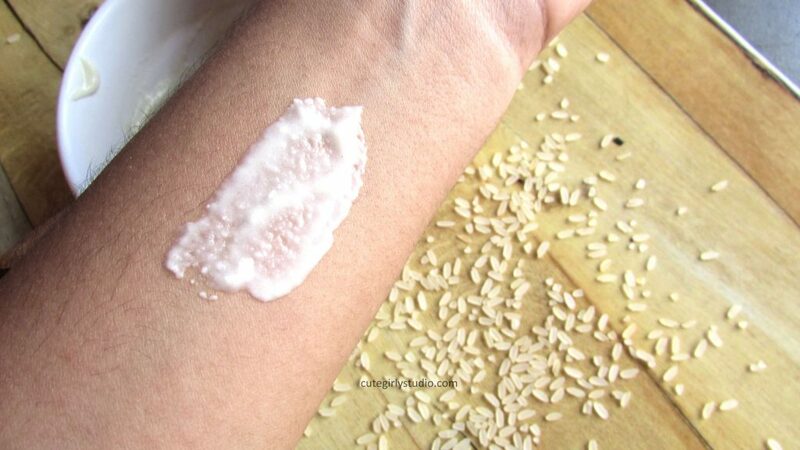 This rice face mask act as both scrub and face mask. It repairs sun damaged skin, detan the skin, removes acne scars and at the same time provides even skin tone. Being a good anti-inflammatory agent, rice powder soothes sunburns and also the brightening properties remove suntan. Rice powder has amazing absorbent properties that can help pull out toxins and impurities from within your pores. Amino acid and vitamins present in the grain act as a clearing agent and control the shine of the skin. Lemon peel Removes suntan and marks on the skin due to the presence of vitamin c. It is one among the most effective ingredients which help to treat acne and pimples on the face. The number of antioxidants present in the lemon peel is higher than the lemon and hence, it can also be used to treat hyperpigmentation on the skin. It is a great exfoliator as it helps to cleanse your skin and also pulls out the dirt and dust from the skin. Unwanted Suntan, darker skin tones and pigmentation can be solved by applying cold milk topically. The high lactic acid content not only has skin-lightening properties but will also help get rid of dead cells on the skin’s surface. Lactic acid in milk will help reduce pigmentation, heal dry skin, hydrate skin, heal acne and relieve sunburn. Buttermilk has more lactic acid than cold milk. It is an excellent bleaching agent. It can lighten age spots and tighten skin. Also buttermilk helps check sun damage, tanning and sunburn. Spots and other blemishes are controllable and get diminished overtime with regular use of buttermilk because of the astringent properties of its lactic acid content. It works to cool, relax and soothe your skin. In fact, it works wonders as an anti-tanning agent too. Take a clean bowl and add lemon peel powder and Rice powder. Now add cold milk or butter milk and give it a quick mix. It will have a consistency of baby food. 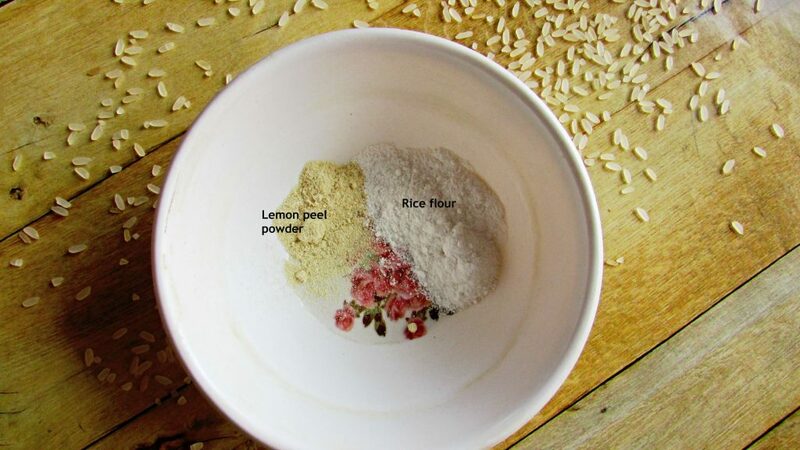 Our rice and lemon peel face mask is ready. On cleansed face, apply the mask evenly all over face and neck. Leave it for about 10 minutes and then rinse it off. If you have active acne, don’t massage your skin while rinsing the face mask. If you don’t have active acne, you can gently massage while rinsing your face. Follow it with toner and moisturizer. Use this face mask on alternate days.